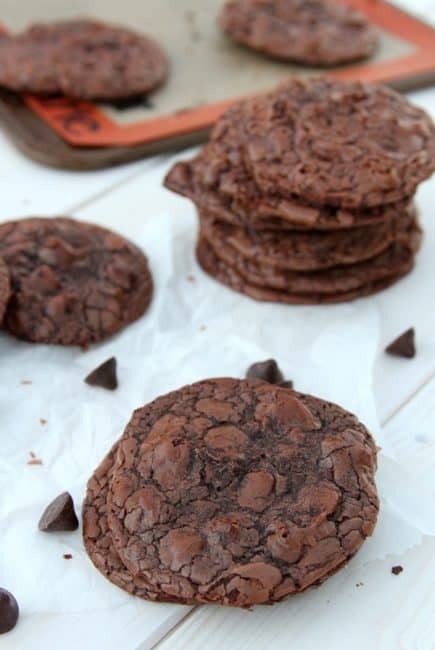 Have you ever made brownies into cookies? I have. A lot. 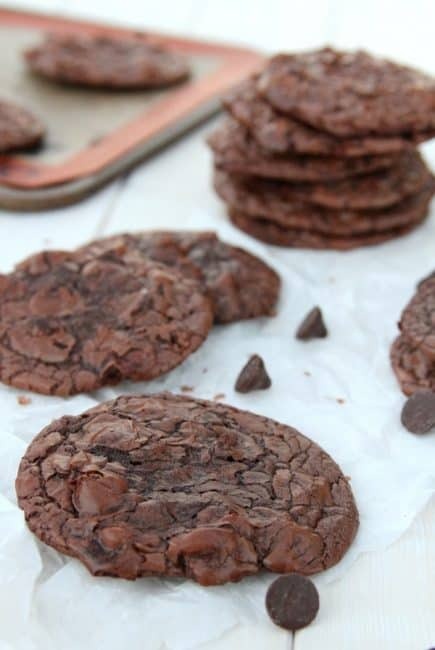 While I LOVE brownies – I truly do – sometimes I just want a cookie, and a deep, dark, chocolaty cookie is what I’m after. 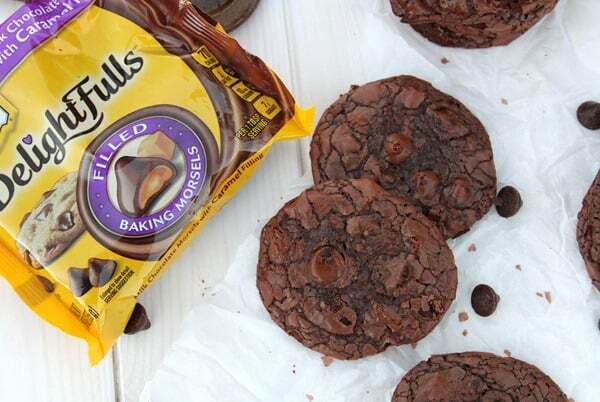 These Caramel Filled Brownie Cookies fit that bill. 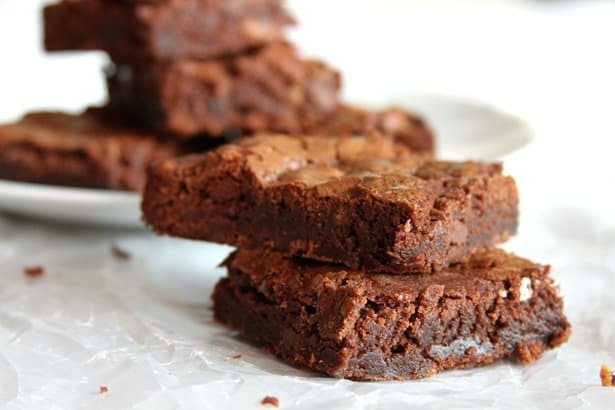 So how do you make brownies into cookies? Simple. You make your batter, whether from a favorite recipe (like this one!) or from a mix (yeah, I cheat, too – it’s so easy!). Now, instead of pouring the batter into a pan, you just scoop it onto a cookie sheet. See? Cookies. I totally invented that, by the way. No, I didn’t. But I wish I had. I was inspired to make these cookies because some bigwigs at a huge company thought I was up to the task of creating a recipe with one of their new products. Maybe you’ve heard of them? That’s right. THOSE people. 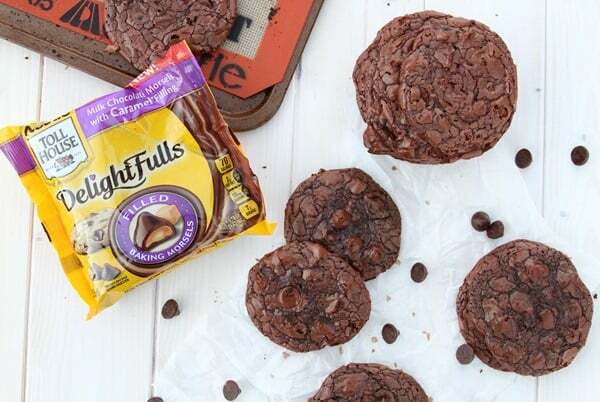 Not one to back down from a challenge (especially one with delicious potential), I set out to use their new Nestlé® Toll House® DelightFulls™ Filled Baking Morsels. Have you seen them? They’re a little larger than chocolate chips, but each one is filled with some kind of crazy goodness. Cherry, Mint, and what I chose to experiment with – caramel. 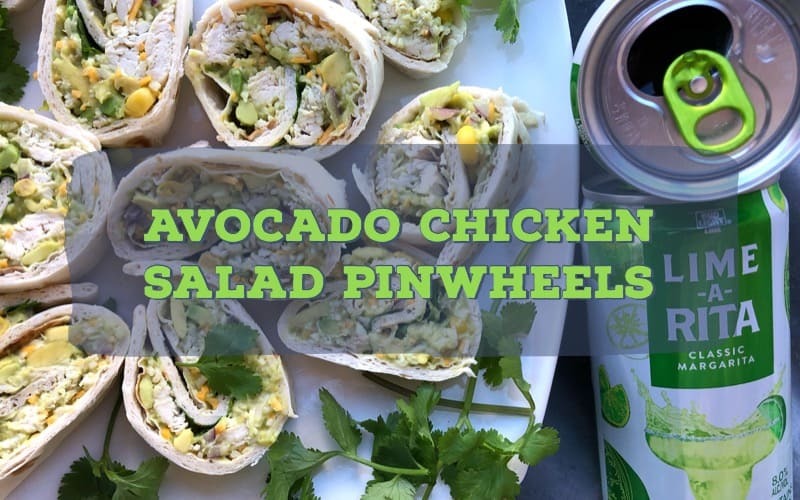 They are a great way to play with old recipes and make them fresh by getting two flavors in one. I can’t wait to play with them some more! For my recipe, you could honestly use ANY of the flavors, and the results would be divine. Each little morsel offers a punch of unexpected flavor, and with the holidays coming up, it’s really nice to be able to share a treat with your friends and family that is a little unexpected, don’t you think? Preheat oven to 350. 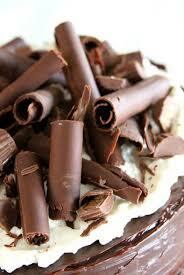 Prepare baking sheets with parchment paper or Silpat. Set aside. Stir Delightfulls in by hand. Use a large cookie scoop to transfer batter to prepared cookie sheets. 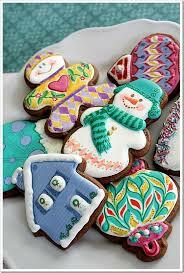 Leave 2-3 inches between cookies as they will spread in the oven. 6-8 cookies per sheet is best. Bake for 9-11 minutes, or until cookies have spread and tops are glossy. Remove from oven and allow to cool before removing from cookie sheet. Repeat with extra batter as needed. Want more? Of course you do. Click here for the scoop on all things Nestle Toll House, and here for a plethora of delicious recipes! Enjoy! 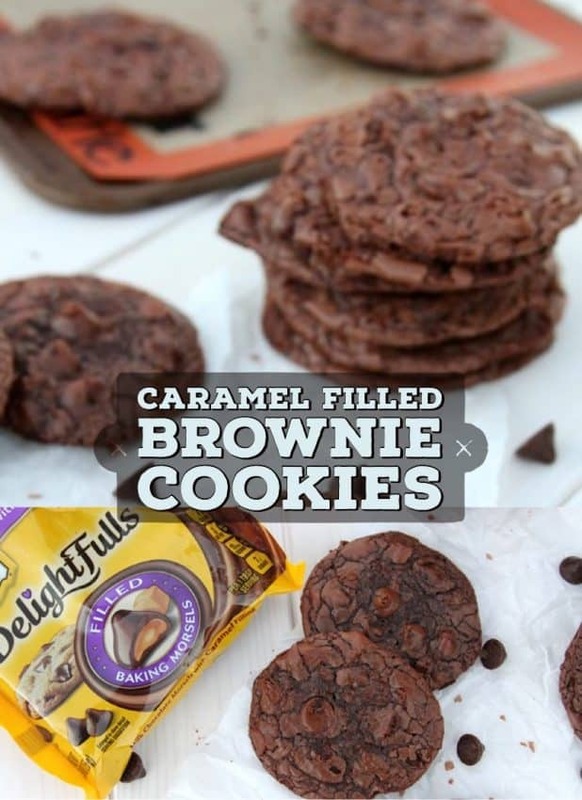 These are my kind of cookies Susan, I love the flavor combo of caramel and brownie!